The School of Education joins two other national universities to host recipients of the Fulbright Distinguished Awards in Teaching Program for International Teachers (Fulbright DAI), which brings international primary and secondary teachers to the U.S. for a semester-long professional development program. 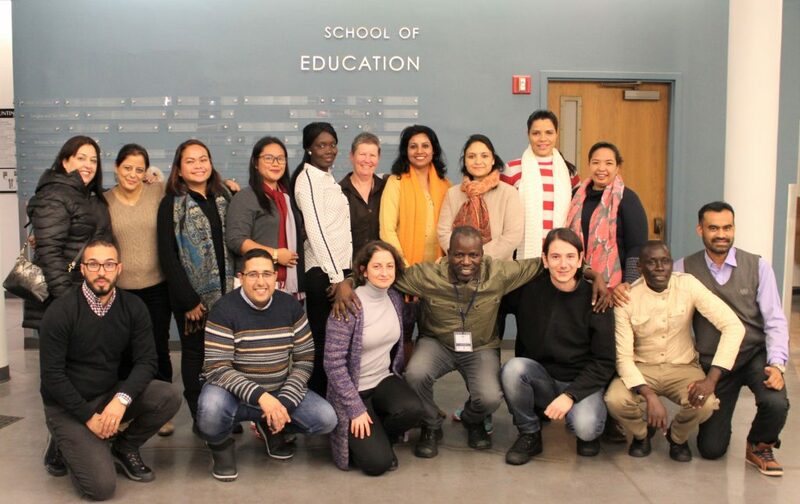 Eighteen teachers from nine countries as far away as the Philippines and Senegal will live on campus for the semester and participate in classroom placements in Syracuse City, Jamesville-Dewitt and Solvay school districts. In addition to working in area schools, these teachers will collaborate as a professional learning community on inquiry projects to develop materials, workshops or other resources to meet an educational need in their home country. Teachers are supported by faculty advisors from the School of Education through advising and mentoring, and graduate student peer mentors will serve as a resource and sounding board as they get acclimated to the Syracuse experience. Members of the Syracuse area community will also serve as area hosts, or “Friendship Families,” ensuring that newcomers will feel at home. Collaboration with teachers from around the world provides an opportunity for the School of Education to not only share resources and learn new tools, but to deepen the understanding of field practices in other countries.